and carries an arsenal of MCU peripherals,I had a junk box with x2 unused sample chips, below is a brief summary of the chip core features. external events, I/O Reads, User Button Inputs, LCD Display Logic, DAC Voltage Drive, ADC Data Acquisition Control and PC Software Communication. Most of time "something" will be under the control of the microcontroller. 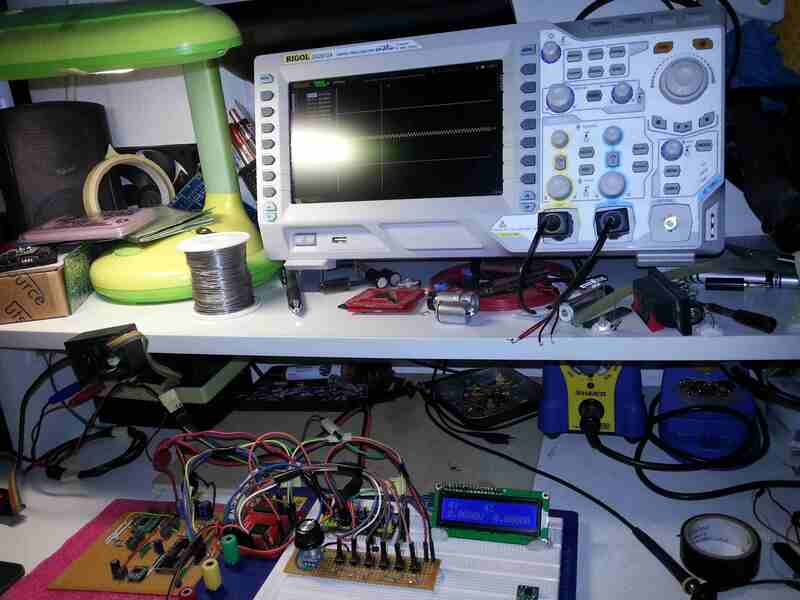 The purpose is article is not to go into the inner workings of the microcontroller. 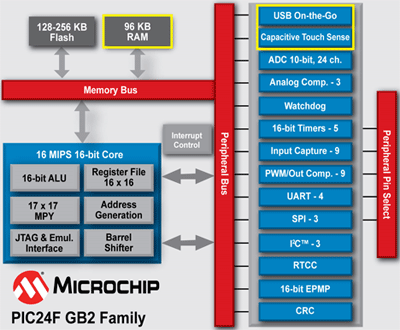 For futher comprehensive details on the PIC24FJ128GB210 family visit Microchip for more details. already have built in ADC capabilities for generic applications however..., they are very limited for specialized applications where measurement requirements are specific and tight. and offers good performance for low frequency applications. Below is a table from the datasheet tabulates ADC performance figures as you can see with a reference of +/-2.56V 16-bits is guaranteed. external high precision reference, offers Ultrahigh Precision, Low Initial Error and Low Output Noise.